Because the medication of tomorrow will be tailored to individuals, it is important that minorities take part in research so that advancements can include drugs that are unique to people of different cultures, ethnic backgrounds and geographical locations. 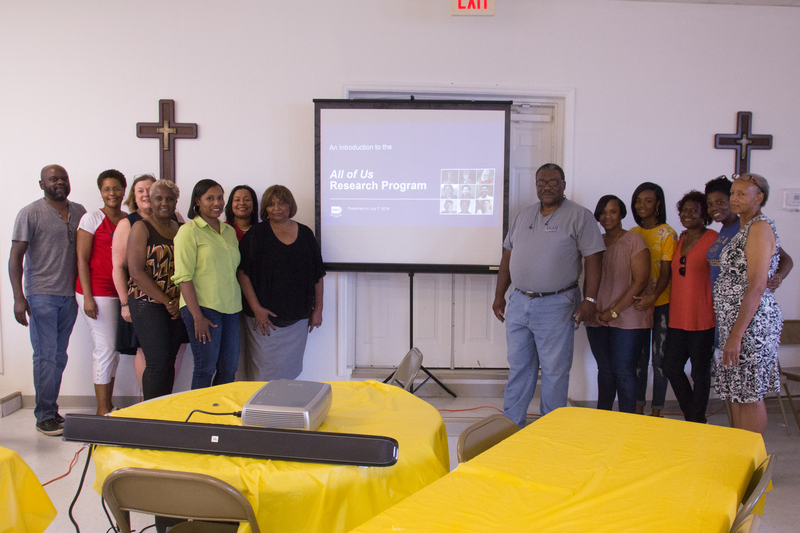 This is the message health providers gave to attendees at an All of Us Research Program event at Benville Missionary Baptist Church in Cottondale on July 7. During a presentation on precision medicine, attendees were encouraged to give research participation a try. Leners came to Alabama to help people of color understand there must never be another study like the unethical Tuskegee Syphilis Study conducted by the U.S. Public Health Service on African-American men during five decades beginning in 1932. Instead, she explained, unless people of color participate in research, there will be no breakthroughs in healthcare related to diseases unique to them. Often people of color, she said, do not respond to medication and they lose time and money on treatments that do not work for them. “We didn’t do the research on people of color. Most medications today are tailored to white males ages 40 to 65 because that is where the majority of the research has been done,” she said. Annette Harris, who has been a registered nurse for more than 20 years, is one of the Saving Lives Advocates for Benville. 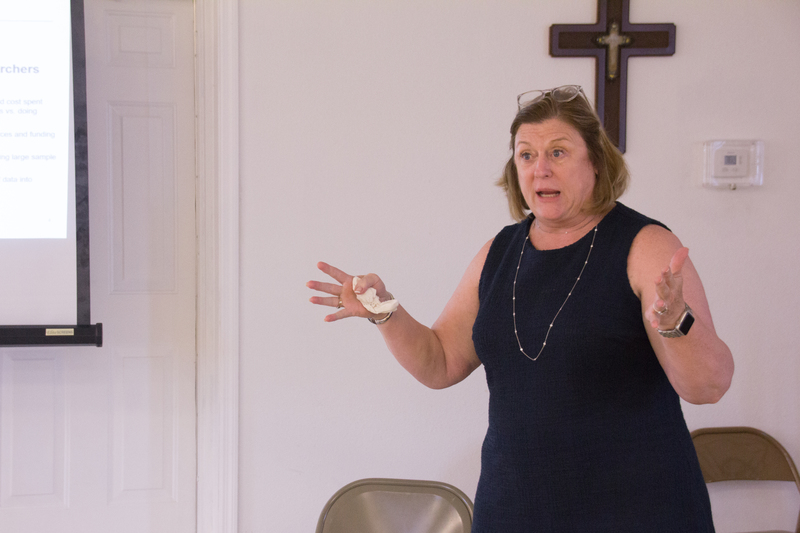 In order to complete Benville’s Saving Lives Academy project, she said she wanted to bring the research presentation to the church as a new outreach initiative. 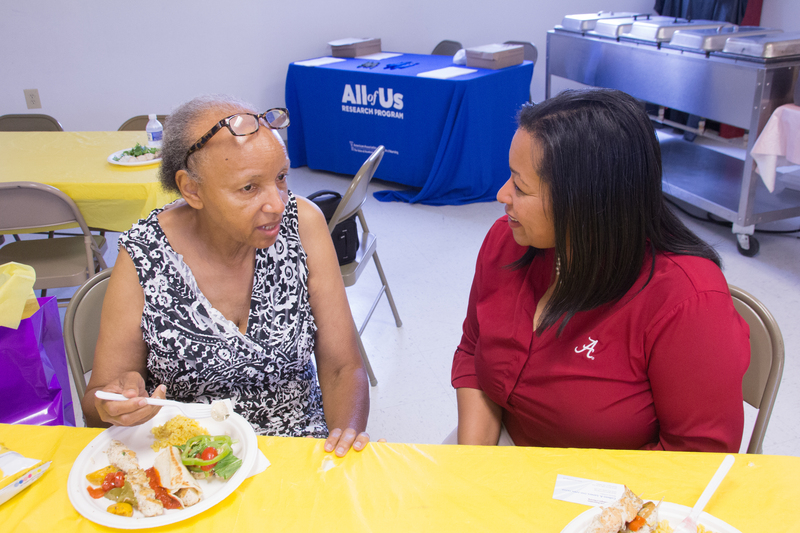 Dr. Betty Key and Dr. Mercy Mumba, assistant professors of nursing instruction, wrote a grant to work with the National Institutes of Health to help bring the All of Us program to the faith-based community in the Tuscaloosa area. The program was brought to Benville through collaboration with UA’s Capstone College of Nursing.